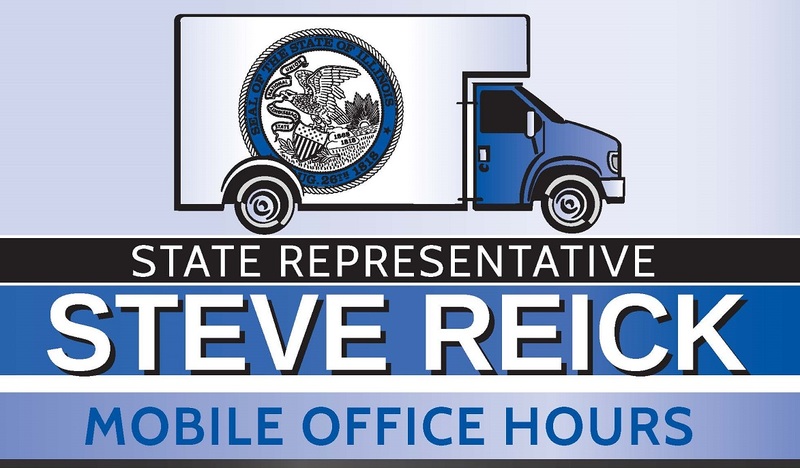 State Representative Steve Reick (R-Woodstock) will be holding mobile office hours next week on Monday, April 8, from 6:00-8:00 PM at the Woodstock Public Library, 414 W. Judd Street in Woodstock. Reick will personally be staffing the event. No appointment is needed, and the event is open to all residents who live in the 63rd Legislative House District.